It's official. 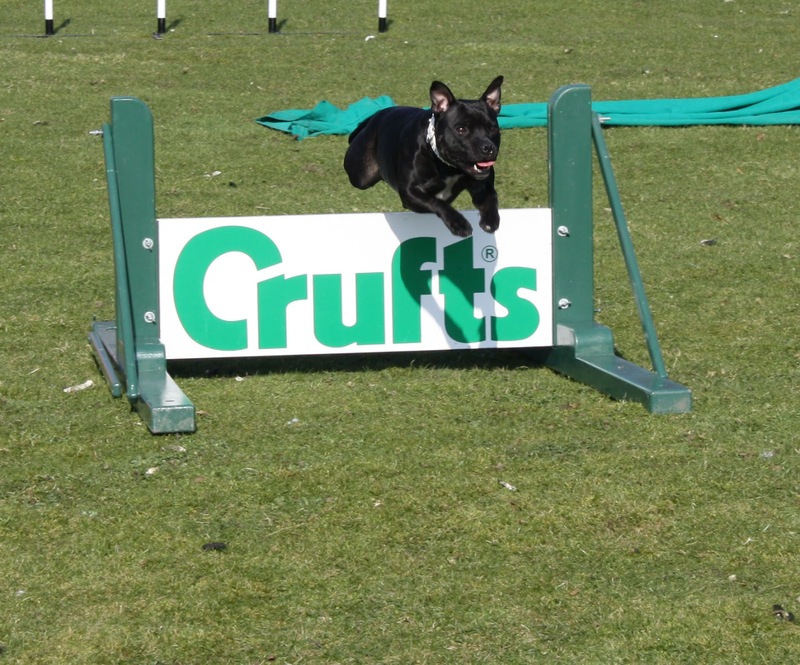 I'm on the countdown to Crufts 2013 and several dog-tastic days of shopping, socialising and watching dogs and their handlers in doggy disciplines like agility, heelwork to music and the Good Citizen scheme. 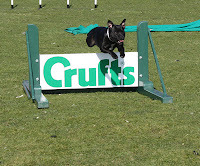 I've also got 2 tickets to Crufts 2013 to giveaway to readers of my blog - courtesy of the nice folk at Crufts and Samsung. To be in with a chance of winning (terms & conditions apply), all you need to do is leave a comment on any of my February 2013 blog posts (including Wordless Wednesday posts). The giveaway is open until 12 noon on 28 February 2013 and winners will be announced/contacted by email on Friday 1 March 2013. This year, I'm on the look-out for new products to try on the hounds. In particular, I'm interested in interactive toys, cereal free foods and supplements for the aging dog. Over the last few months, Mina has begun to show signs of canine cognitive decline (often referred to as doggy dementia) and I want to do everything I can to help slowdown this decline. I'm hoping that Crufts will come up trumps with some new toys, suitable for an aging greyhound. Currently, Mina's favourite interactive toy is the Nina Ottosson Dog Brick. I tend to use this several times a day and hide kibble under the bones and bricks. Mina loves it and has become a whizz at lifting off the bones and sliding the bricks to discover the kibble lurking beneath. Mina loves this toy and I hope I can find something just as challenging for her to bring home from Crufts. I'll also be blogging live from Crufts and thanks to Samsung, I'll be able to upload some (hopefully) great photos as they're kindly supplying me with a camera. I didn't realise, either, that Samsung has been a sponsor and partner at Crufts for 20 years - beginning their sponsorship in 1993. To begin with, it seemed a tad odd to me that an electronics giant would be involved with dogs. However, I've subsequently found out that, in Korea, they fund the Samsung Guide Dogs for the Blind - where growing numbers of dogs are trained every year. They also work with the Royal New Zealand Foundation for the Blind Guide Dog School, helping to ensure that its trainers are certified to international standards. So, all in all, I'm gearing up for a fun few days and lots of miles walked in the NEC. And fingers crossed, I may be able to get the 'inside scoop' on some new product launches too. Do leave a comment and let me know if you're going to Crufts and what's on your shopping list. Giveaway is open to UK residents only. Prize consists of one pair of tickets to Crufts for each of the two winners (tickets are valid for the day of the winner’s choice). The winner is responsible for arranging their own transport to and from the NEC. *Sponsored post. My tickets, camera and Crufts' experience have been provided by Crufts and Samsung. I'm also interested in finding out about activities and toys that will help my mother's dog with his growing lack of concentration. He is a miniature Schnautzer. He has been a fantastic loyal companion with lots of character. Lately, however, we have not been able to let him off his lead as he happily follows anyone who moves. We have to chase up behind people to rescue him! Fingers crossed that both Mina and Oscar have lots more happy years ahead of them. I love reading your blogs! We too, have a hound! We love hearing about your dogs and seeing the pictures and videos that you put on! 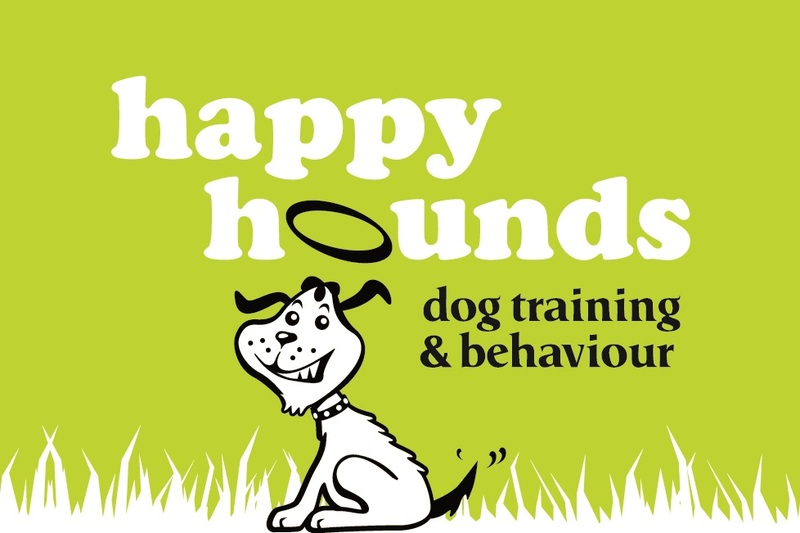 We're looking for some interactive toys too, to keep our hounds brain nice and active! First time at Crufts last year and thoroughly enjoyed it. Love the shows and the great variety of stalls. Bought my dog a great toy similar to yours where treats are hidden under blocks and my dog keeps my dog busy for many an hour or two. Would love the chance to go this year. Last year at Crufts I bought a dog maze from the Border Collie Trust stall. My dog has dog biscuits for breakfast and loves to get them out of her dog maze. It doesn't take her long! I can't wait! We are looking forward to picking up grooming supplies and toys that will last longer than 5 minutes with our Scottish terrier! Check out some more tips to make the most of your day at Crufts at www.roverrecommended.com Wishing you a woof-tastic time!